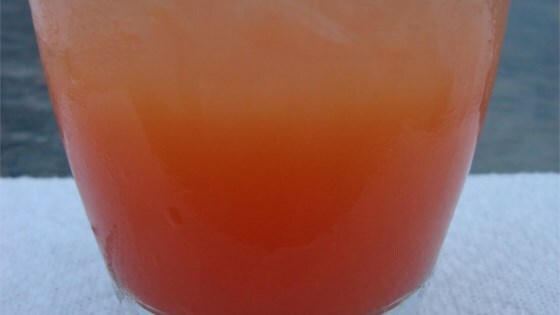 "This is an easy girlie drink made up by a good friend after she had one at a bar. Pineapple juice and vanilla vodka in a martini glass. Garnish with a wedge of pineapple and a cherry." Pour the pineapple juice, vodka and grenadine into a shaker full of ice. Shake, then strain into two martini glasses. Garnish with a piece of pineapple and a cherry on a skewer. Very, very good. I added a touch of amaretto and it was just like a pineapple upside down cake. I'd make this again and again. Excellent! A girlfriend and I made these at my b-day party. Love the flavors. I will be making this again. Loved it! I used some of the juice from the cherries instead of grenadine just because I'm lazy. ;o) Even hubby enjoyed one of these. Thanks for the recipe! We made these for a New Year's celebration and they have become a drink staple for our get togethers!. YUMMY!